There are many things I love about the pioneers and how they celebrated Christmas. One, it wasn’t all about the latest and greatest gift. Second, the church Christmas program was the highlight for many families, which focused on Jesus (Need more focus on Jesus in your Christmas? Have You Written Your Letter? Dear Jesus, All I Want for Christmas). Third, special treats and the focus of today’s post, is a cookie exchange. A cookie exchange is the perfect time to get together with loved ones and friends. I attend two every year, one at our church and one with the ladies in our neighborhood. Each year I always make my favorite Molasses Sugar Cookie for one, but I enjoy trying new recipes to preview at the other. Sharing baked goods, a hot cup of tea, cider, coffee, or cocoa, and taking time to foster relationships with one another is a perfect way to celebrate the Christmas season. 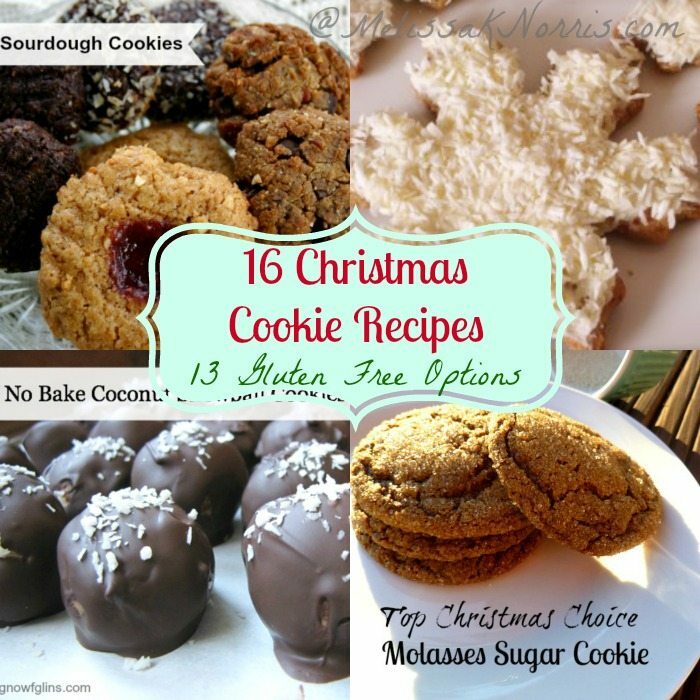 So you gather your friends as I’ve gathered the cookie recipes, including some gluten-free options! Let the drooling begin. Want more delicious holiday recipes? In Pioneering Today-A Homemade Christmas, I share how to get back to the true meaning of Christmas, tips for homemade baked goods when you’re stretched for time, homemade affordable gifts people will use and like, and how to give the gift of yourself to your loved ones with special planned activities. 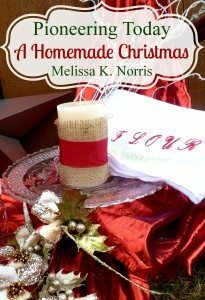 With over 36 recipes, homemade gift ideas and decor, you’ll experience a simple Christmas with the joy the season was intended. FOR FREE!! Featured on Thrifty Thursday Link Up!